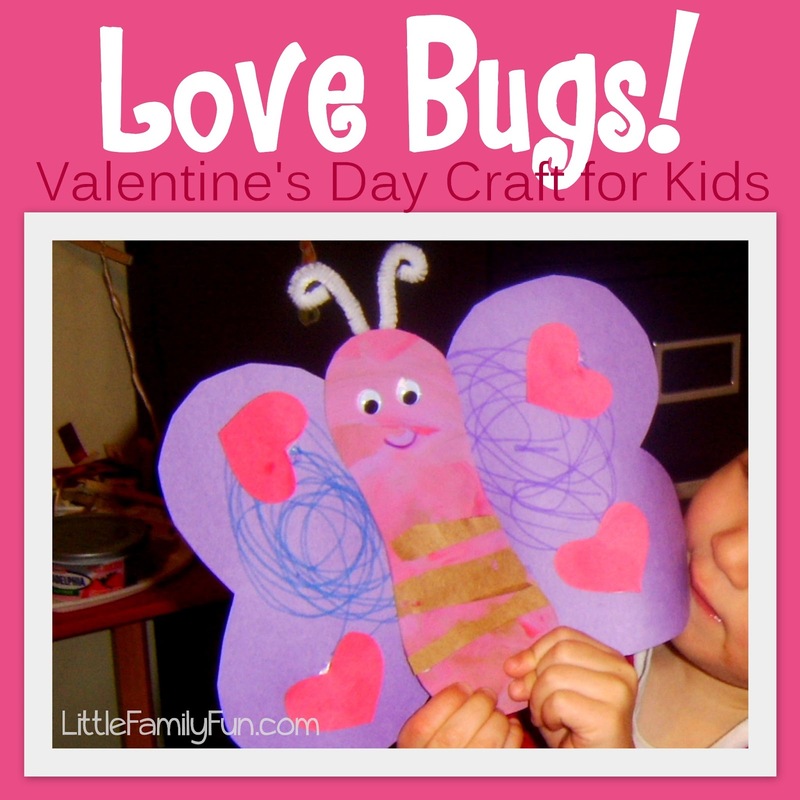 We've scoured Pinterest for the cutest crafts to make with your little lovelies this happy heart day. 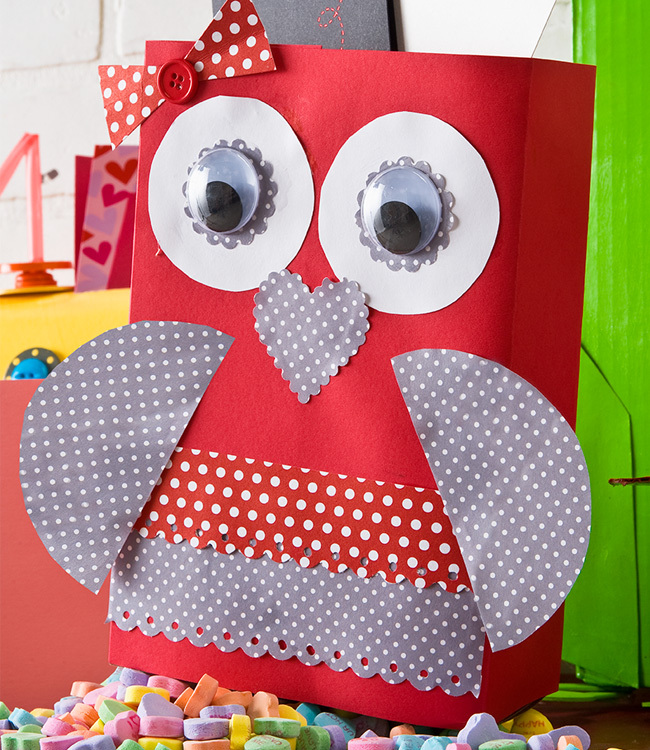 This cereal-box-turned-darling-owl-Valentine's Day mailbox is a Pinterest-lover's dream! With a few supplies, some Mod Podge and inspiration from PlaidKidsCrafts, your kids will have a hoot collecting their Valentine's Day cards this February. We love Pinterest for all the ways it inspires us to turn our cereal boxes into so much more than fodder for the recycling bin! 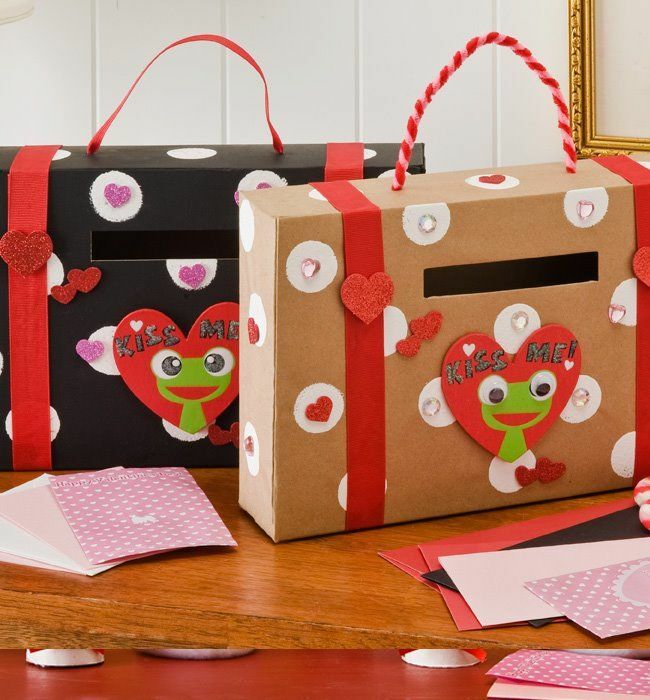 These modern Valentine mailboxes are simple and adorable. This Pinterest-inspired butterfly makes our hearts go all aflutter! It's the perfect craft for little ones since their scribbles simply add to the charm of this sweet bug. 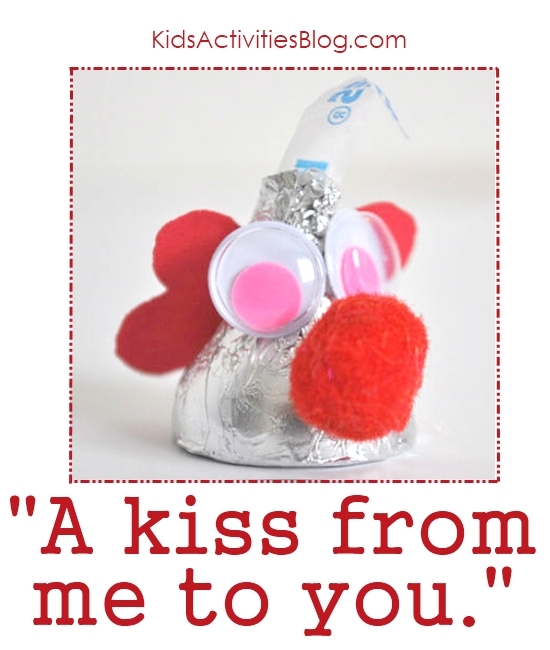 Pucker up for this darling treat that can be given as a Valentine's Day sweet or made to display with other Valentine crafts. 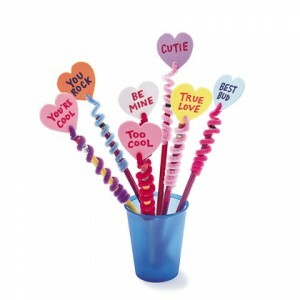 We love that kids can personalize these super-cute conversation-heart pencil toppers. We also happen to heart that they are totally simple to DIY — no matter your kids' ages. 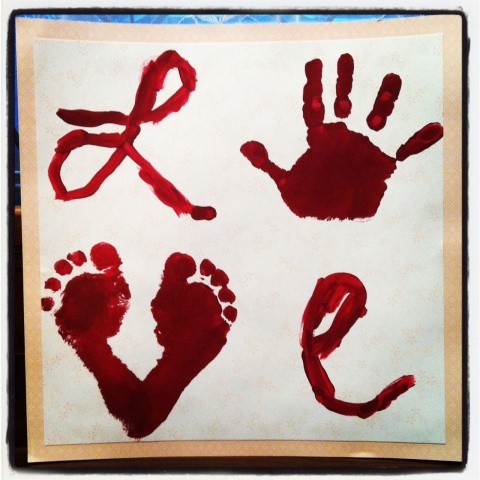 What good is Pinterest without a sweet hand and footprint craft for Valentine's Day? We love this simple LOVE sign that incorporates both! A total framer. This is exactly the kind of craft we love Pinterest for — one that is easy enough for kids to do but elegant enough for adults to proudly display all around their home! 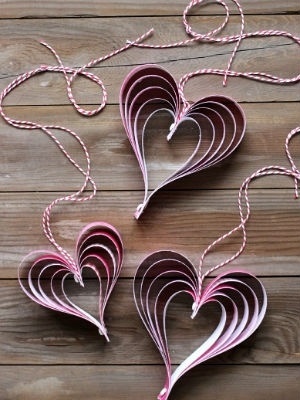 Find out how to make these hang-able hearts from just scrapbook paper and a few other materials over at HoosierHomemade. 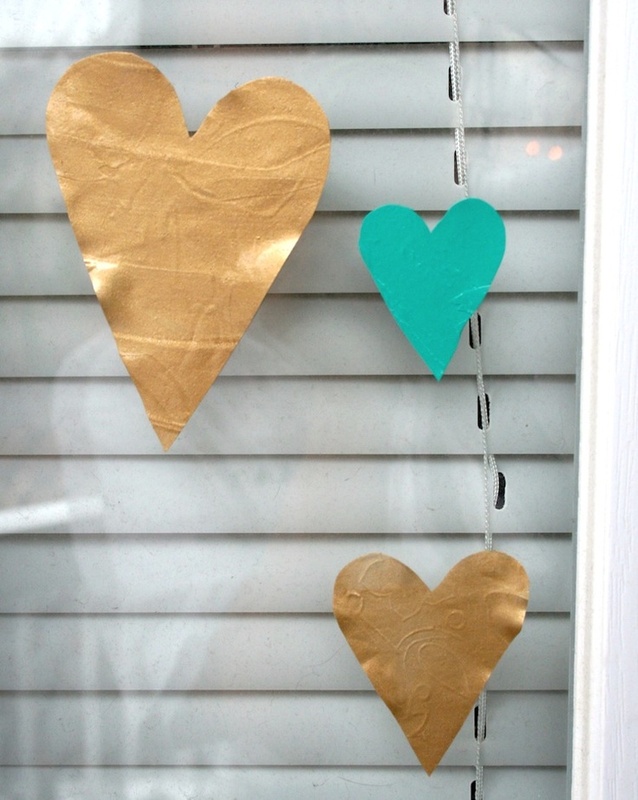 We love these Valentine window clings for so many reasons — but mostly because they buck the red, pink and white tradition and add some classy gold and turquoise hues to Valentine's Day decor. Fabulous. 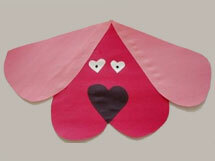 We love this sweet puppy face craft made almost entirely of heart shapes with little more than just construction paper. This is a great one for preschoolers practicing their scissor skills! We can't help but love a craft that is not only inspired by Pinterest but also road tested by teachers like these Valentine poster hearts that are easy and totally one of a kind! 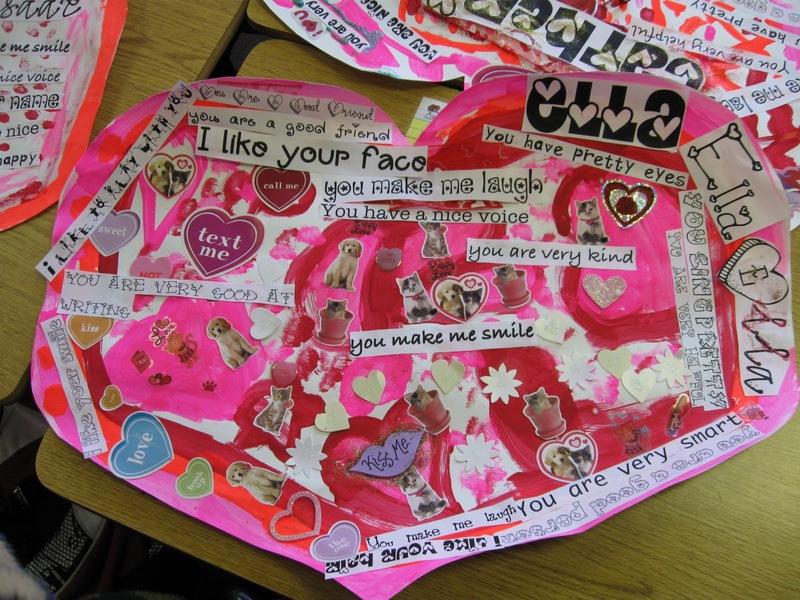 Why not combine a lesson in time-telling with your Valentine's Day crafting this year? 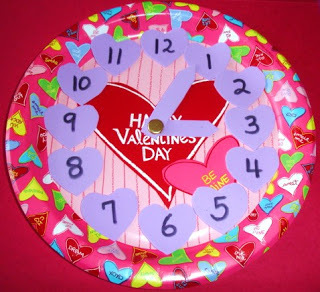 This Valentine's Day paper plate clock is a fun and adorable way to do both! Throw a valentine making party!